The Rimrock Resort is located in the heart of the Canadian Rockies and is a very special place to visit for a truly remarkable experience. The 346 guest rooms including Signature Grandview rooms and a selection of suites offer a comfortable smoke free environment. The hotel boasts a full service spa, indoor pool, sauna and whirlpool. A fitness facility open to over 16 year olds which includes a squash court and during the summer months you can enjoy lunch on the outdoor patio decks. The resort has something for everyone with two restaurants, two lounges and a coffee shop. The traditional classics car captured in this very romantic and warm setting offering breath taking views of the Spray Valley. 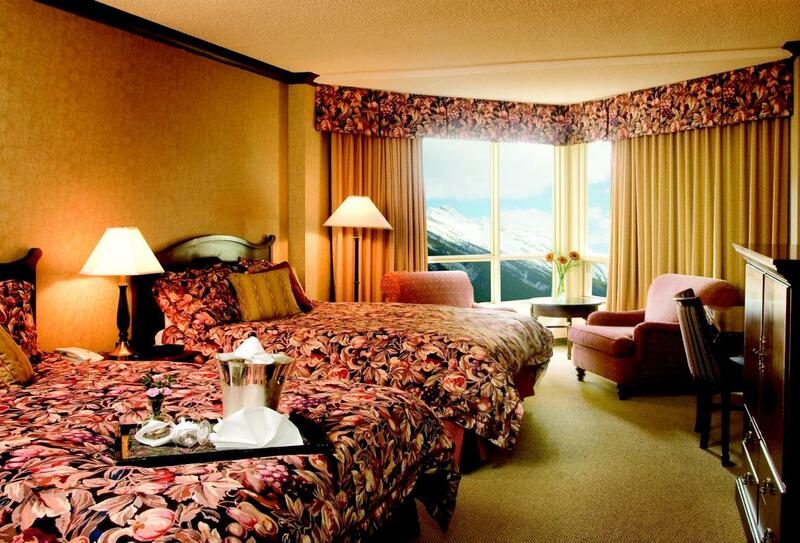 These rooms afford guests a turndown service, luxurious bathrobes, and Aveda beauty products. These elegant rooms offer clean architectural lines and classis accents that inspire serenity. 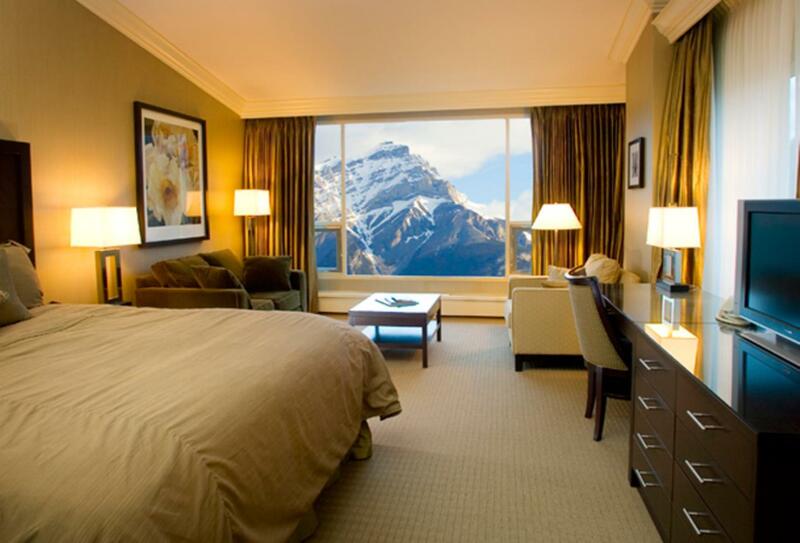 Offering relaxation and comfort while enjoying breath taking views of the Canadian Rockies. 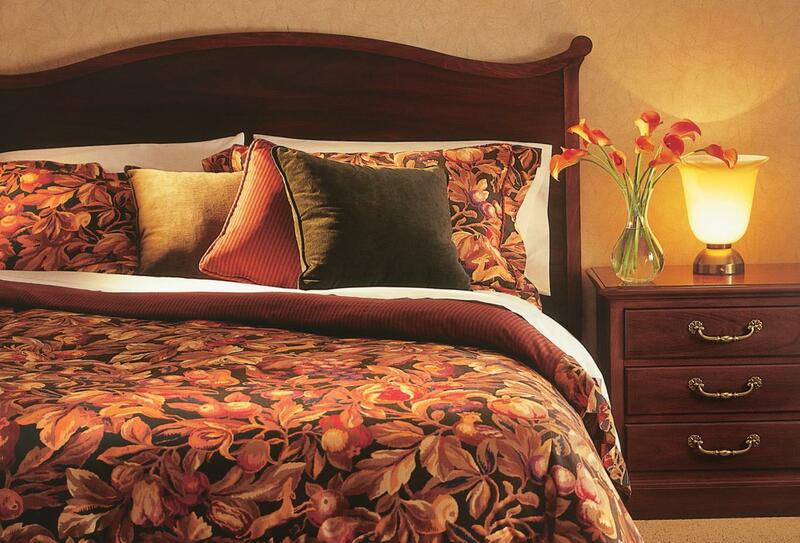 GrendView services and amenities include in-room safe, turndown service, luxurious bathrobes and Aveda beauty products. The Bow or Spray Valley is on permanent display from these guest rooms and they offer the highest degree of attention to detail. Surrounded by the beauty of nature, with obstructed views of parts of the building or trees and decorated in warm neutral colours. This Five Diamond award winning dining room is an exquisite dining experience offering regional and international cuisine with dramatic flavours and presentations. Combined with Eden’s Wine Spectator ‘Best of Award of Excellence’ and ALTO Award winning service, Eden provides each guest with the finest in dining, service and the most scenic views in Banff. The Primrose is a casual yet elegant Italian Dining Room where the magnificent Rocky Mountains are easily viewed from every table. The service team are very friendly and knowledgeable and will attend to your every need. The Primrose offers a wide range of flavourful Italian dishes, an á la carte or extensive buffet breakfast and a great children’s menu. 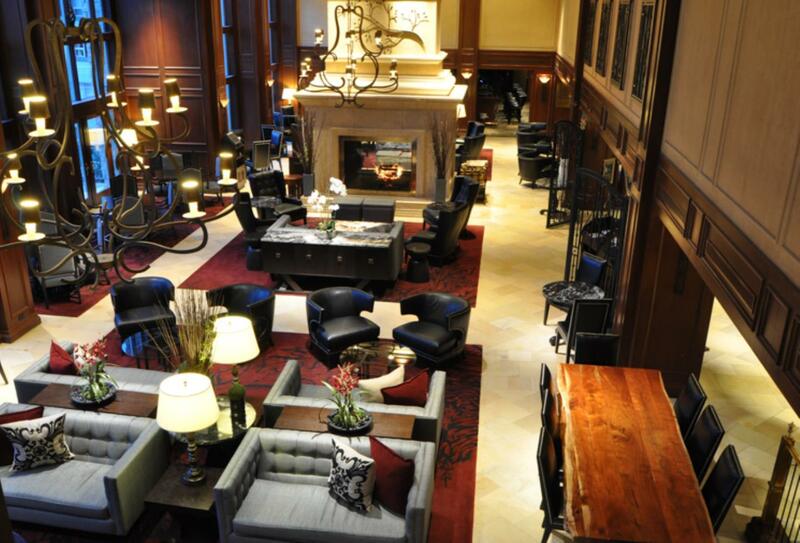 The Larkspur Lounge is located in the main lobby where you can enjoy a delicious martini whilst cuddled up in front of the roaring fireplace. Relax in the Larkspur either day or night and enjoy lunch or a light snack to compliment your favourite beverages. Divas is a glamorous Martini Lounge. Take in the atmosphere as your eyes scan the unique collection of Hollywood’s most recognised women. Try and see how many photographs you can put a name to. 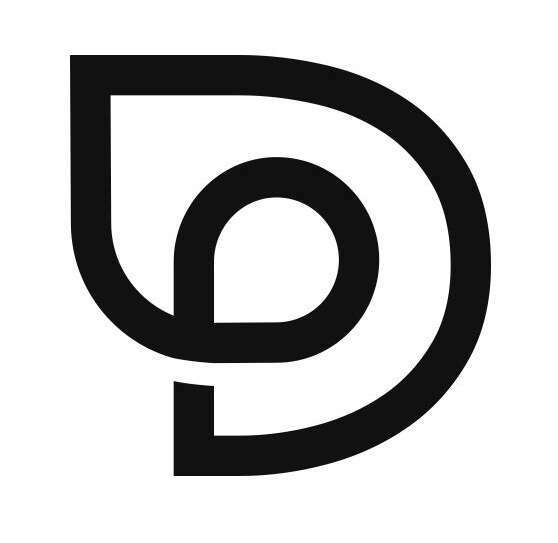 Divas is open at weekends and major sporting events are shown over the plasma screen televisions and video monitors. 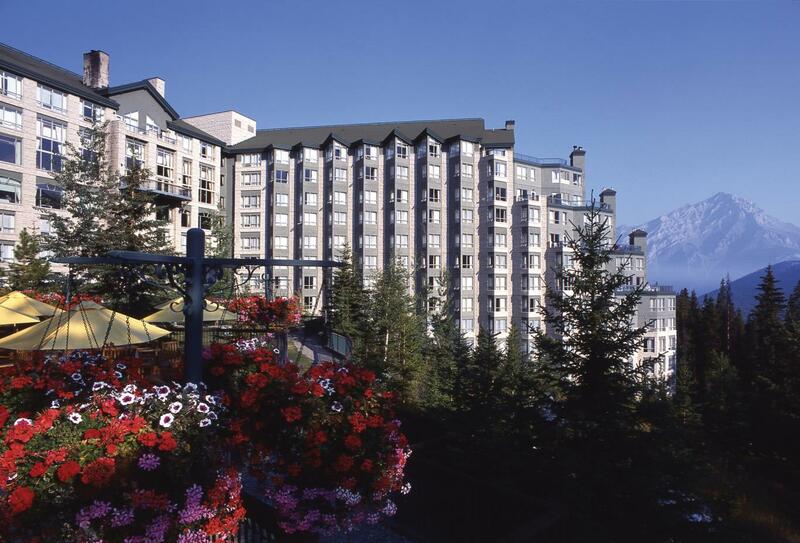 The Rimrock Resort is located on Sulphur Mountain in Banff National Park a five minute drive from the Banff town site. The resort is 90 minutes west of Calgary International airport. 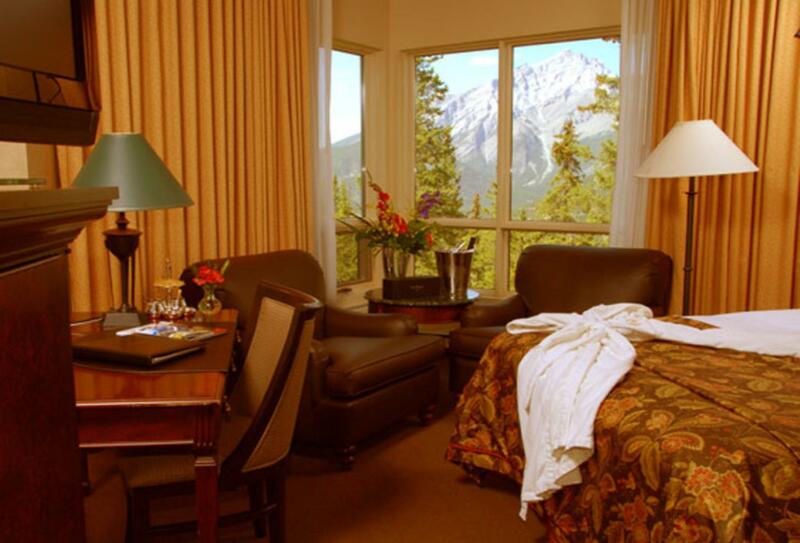 The hotel is just steps from the Banff Upper Hot Springs and the Banff Gondola and it is within close proximity to some of Banff’s premier activities.